Spring is here, rains are frequent, and bugs are active… a little too active for many of us! We have been hearing from many of you that crawling bugs, such as spiders, ants, millipedes, waterbugs, etc. are being found all over the house. They are frequently in the ground floor and basements, but their presence can be a real nuisance at this time of the year. So what can you do to treat for them? We talk briefly about a few different techniques in this article. Apply a bug barrier around your home. We sell a lot of Ortho’s Home Defense as well as the Raid Max Bug Barrier, both of these products are designed to create up to a 12 month barrier to kill and prevent creepy crawling bugs from entering our homes. They are simply applied around the foundation of your home and/or around all entry ways, windows, baseboards. When applied to hard surfaces, the residue barrier will last up to 12 months and keeps killing bugs as they walk across. Once applied around your home, you will see a huge difference in the amount of bugs found in the home. I use this product once a year in the spring on my old home that has lots of cracks and crevices for bugs to enter. It is amazing the results! Also, once it is dry, it is safe for kids and pets to play in the treated areas. Apply diatomaceous earth powder in trouble areas. Diatomaceous earth is an organic bug killer that is only available in a powder form. When bugs walk across the powder, it sticks to them and dries the bugs out. There is no attractant in this product, so you want to apply it as a barrier treatment and want to use it in the rooms that you are seeing bugs. Often applied to windowsills, around baseboards, behind appliances, entryways and more. Strongly consider ant baits if ants are the nuisance. Ant baits work to kill the whole colony, which makes them the best solution to stopping ants. They take about a week before the full effects are noticed, but you will go from seeing ants to not seeing any at all. That is when you know that you got rid of the colony! 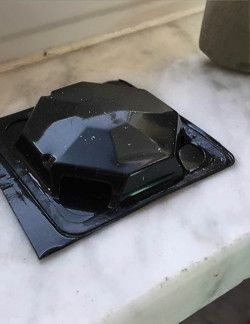 Simply place them where ants are seen and away from kids and pets. Household pest glue boards catch bugs as they walk over. If you have a known problem area, such as a poor sealed window, unused bathtub, or something along those lines, the glue boards could be a simple, chemical-free option to catch bugs as they enter. Just set them out in corners, or on windowsills and near entries where bugs enter.